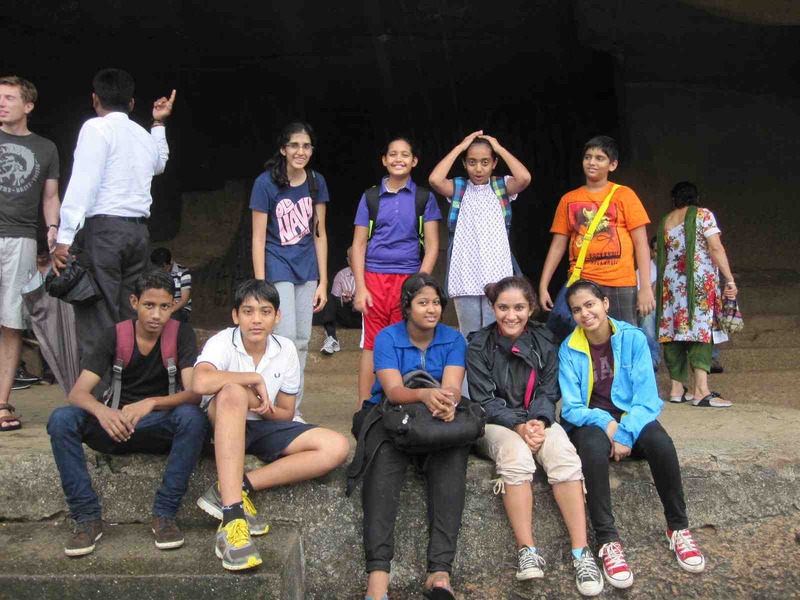 At the Sanjay Gandhi National Park we were excited as one can be because we were told we were going to be cycling. We were riding to the Kanheri caves and were absorbing the greenery as not much is seen in the city. The cycle ride definitely made us all closer and broke the ice even further, as even though Archana was our 3rd artist we were all still getting used to each others company. We crossed streams that made us want to jump in them and have a good swim. We heard tribal music that made us realize how important it is to save dying tribes and what culture would be lost if tribes die out. And just as every outing has some action ours was quite unfortunate when Rhea fell off her bike. It was sad but Tanya and I couldn’t help laughing at the way we ran to Rhea when this happened. It was a very filmy scene as we dropped our bikes and ran in slow motion towards Rhea to rescue her and to avail her injuries. It was even greater when she showed us what a sport she is by shaking it off and continuing the bike ride. We were enjoying, racing in short stretches and figuring out things as we cycled on. 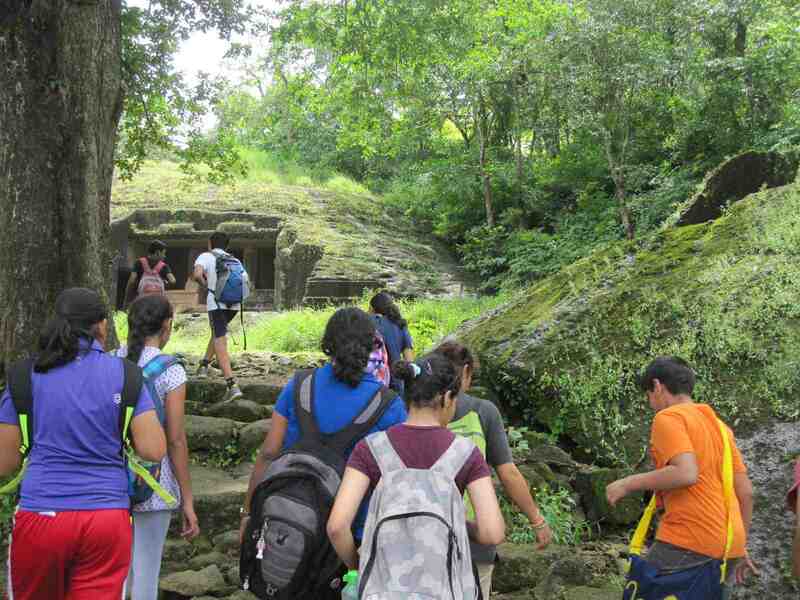 On reaching the Kanheri caves, we were taken aback by the beauty of the place and looked around at the monkeys who searched the small crowd for any sign of food. We then sat in a cave and discussed what we saw along the journey and shared the importance of our senses and using them well. What I learnt from the conversation was that one usually doesn’t realize how important our senses are. They must be used and the beauty around us observed. Taking sight as an example of a sense, we often use our eyes to look but we don’t actually see. One must not only keep their eyes open but also their mind open to see. 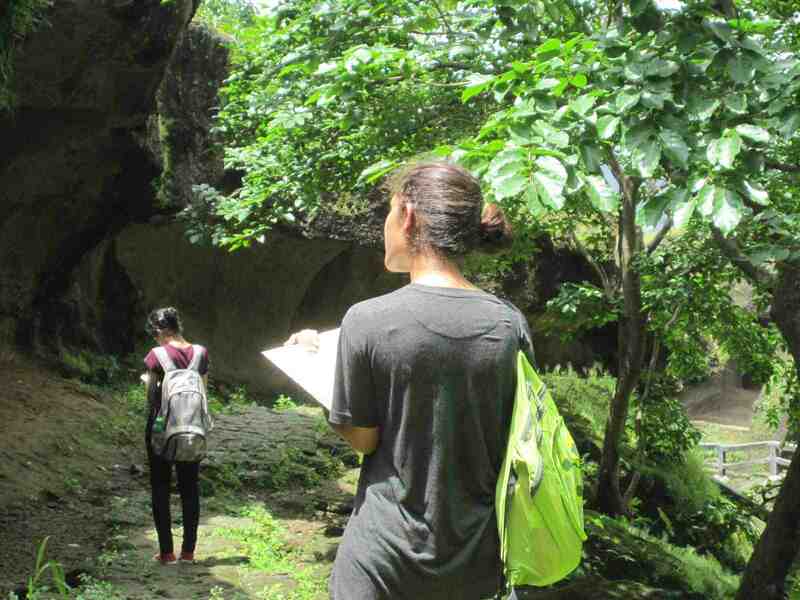 Exploring the caves while using our senses changed my vision because I now saw things with my mind. It made me notice more things like the sculptures and made me wonder about the times when they were made. I found more beauty because my mind didn’t decide what it was seeing but actually allowed me to show it, how there was more to everything. 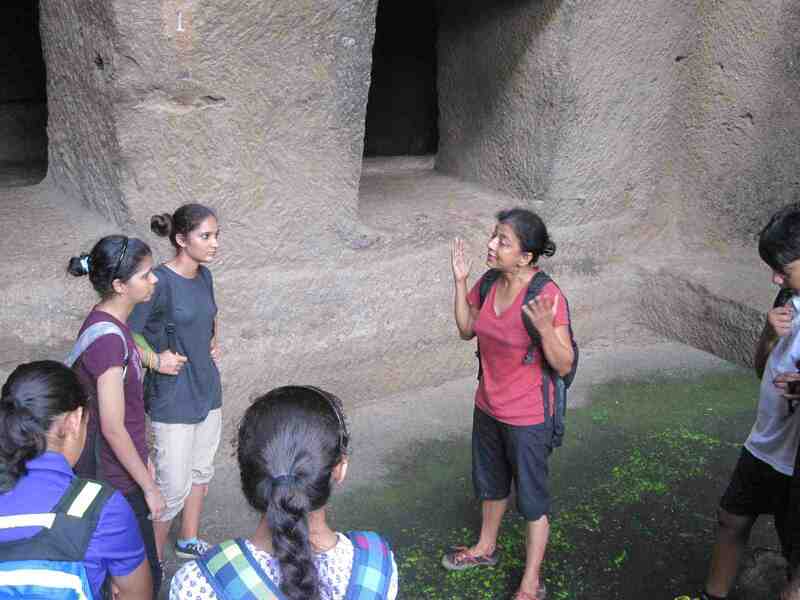 Once our visit was over, the story we wrote had to involve the Kanheri caves. 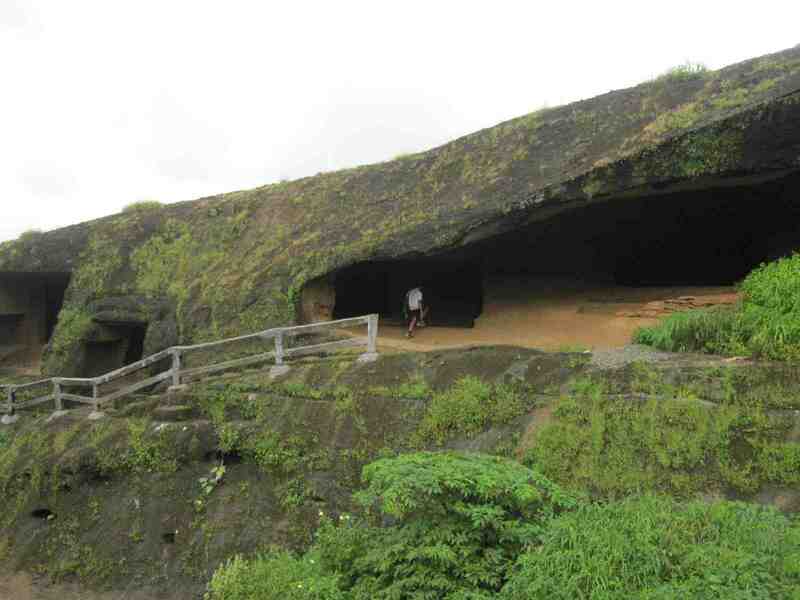 So, Simran and I, wrote a story about a treasure and one man and his nephew coming to the Kanheri caves to find it. They encounter a sea monster and escape it’s clutches with the help of the giant Buddha statue coming to life. It was a joy to write the story as we added our own twists and had fun writing it. We then changed the story into a storyboard format and took turns in drawing out our image of the scene. It was interesting to do so as we used what I had seen and wove a story around that setting. 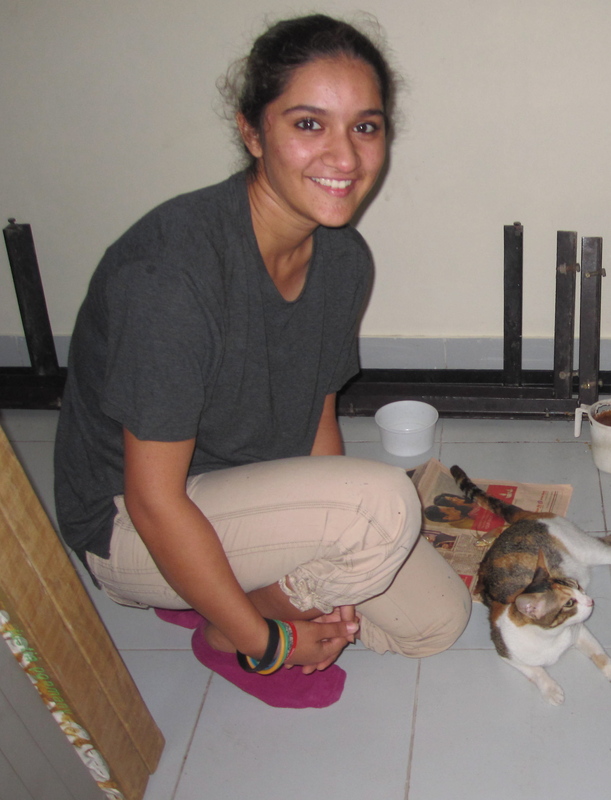 The mentorship program is a delight as it’s changing the way we look at things. It teaches me how there’s always more than what meets the eye and we must make use of our senses and not take them for granted. Magic is in the utilization of the entire spectrum of the senses- it empowers us, expands our vision.